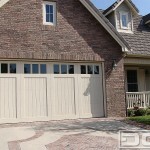 Dynamic Garage Door has an environmental responsibility and commitment to future generations and this is why we've developed the ECO-Alternative Custom Garage Door Collection. 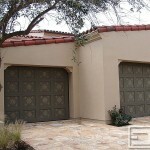 We've custom tailored a multitude of custom garage door styles to suit a variety of architectural styles including Tuscan, Spanish, Mediterranean, Mid Century, Carriage house, French and even some stunning Contemporary garage door designs that are not only architecturally correct but speak volumes about our ECO-Friendliness and design expertise. 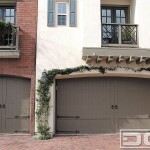 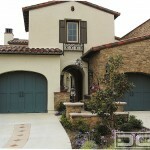 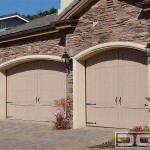 Our ECO-Friendly Custom Garage Doors are diverse and a true architectural joy! 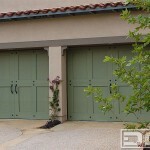 Our skilled faux finish artists hand paint wood grain on either smooth, textured or distressed eco-friendly materials which we use to craft our ECO-Alternative Collection garage doors. 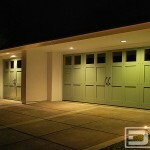 Get the look, the feel and taste of natural wood while preserving the environment. 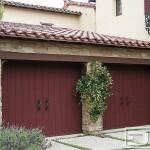 ECO-Alternative is our no-compromise architectural style answer to our highly acclaimed solid wood garage door styles with an ECO-Friendly result!